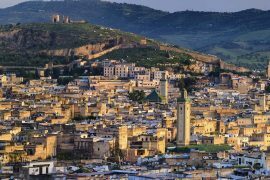 Fez is the most ancient city of all the imperial cities, is founded in the 8th century, and is now seen as the spiritual and handicrafts’ capital of the Moroccan Kingdom. 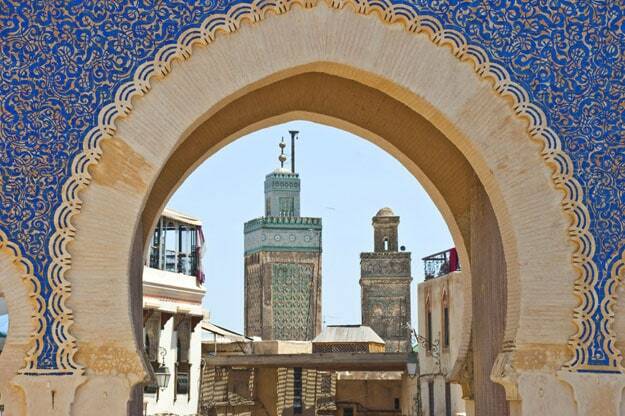 Its medina is a World Heritage of UNESCO, is full of palaces, museums, mosques and will make your happiness. 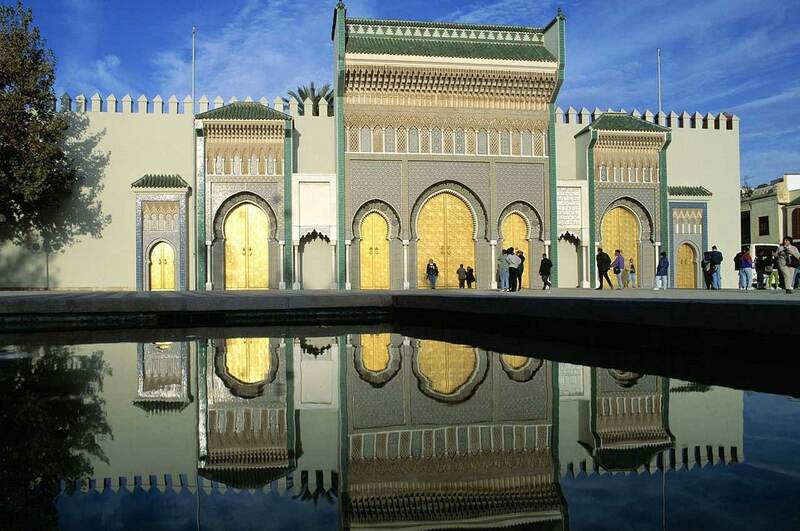 This fully guided tour will take you to the heart of the imperial city of Fez, which is the city that most reflects the ancestral past of the Moroccan kingdom and its ancient civilization. 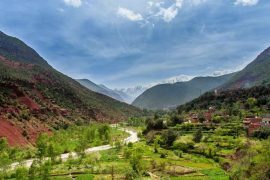 It was and still remains the core of the intellectual and spiritual creativity, not only in Morocco, but also in the Islamic world. 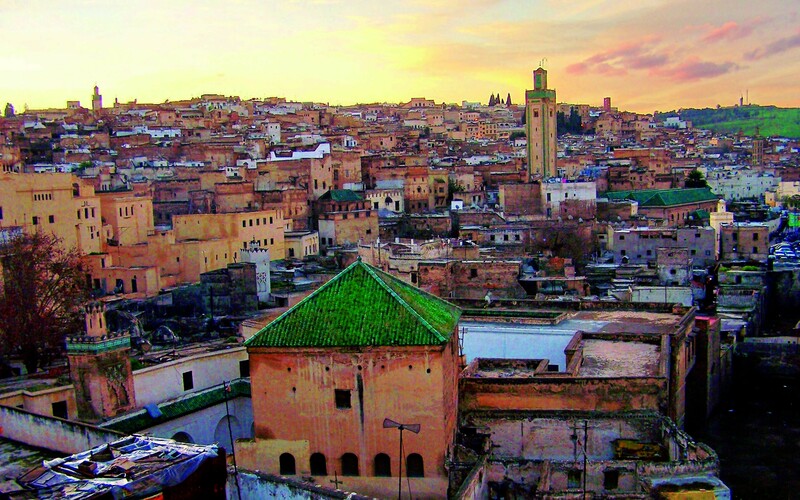 Fez houses, the oldest university in the world, Al Quaraouiyyne and its ancient medina was classified as Universal Heritage by UNESCO in 1981. 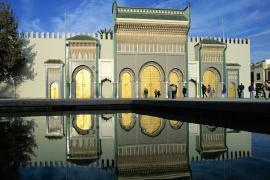 Traditionally your exploration of the medina should start at the Bab Boujlloud Gate. The first monument to visit is the vast Bou Inania medersa. As you continue along Talaa Kebira Street (big climb), you will particularly admire the Tijani zaouïa (zaouïa, sanctuary of a religious brotherhood) and the instrument makers’ souk before arriving at the mzara (shrine) of the ancient sovereign Moulay Idriss situated at the place where he took the decision to build the town. Once you have passed the babouche vendors, you arrive in En-Nejjarine Square and the cabinetmakers’ souk. The magnificent carved foundouk (caravanserai) on the square houses the Museum of Wooden Arts and Crafts. The kissaria (covered market), where jewellery and fine fabrics are on sold, is nearby (it is shut at night). 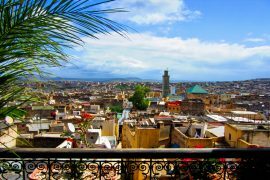 Next to it, you can admire the most visited and revered attraction in Fès: the zaouïa of Moulay Idriss, founder of the town. Your walk continues on to Es-Seffarine Square, the coppersmith square, and then to the tanners’ quarter situated just before the Andalusian quarter with its mosque and the Es-Sahrij medersa. 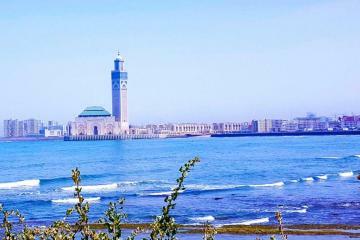 Pure Morocco tour guide and driver will pick you up from your hotel in Rabat. 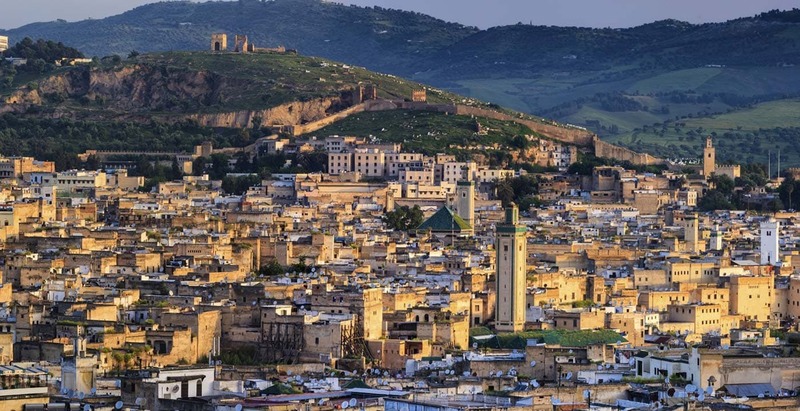 This fully guided tour will take you to the heart of the imperial city of Fes which is the city that most reflects the ancestral past of the Moroccan kingdom and its ancient civilization. 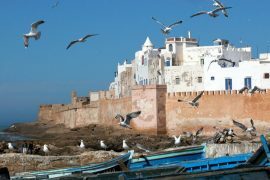 It was and still remains the core of the intellectual and spiritual creativity, not only in Morocco, but also in the Islamic world. 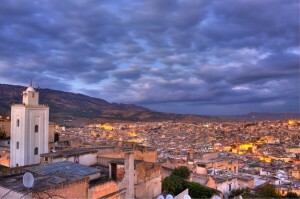 Fes houses the oldest university in the world, Al Quaraouiyyne (exterior visit of the latter) and its ancient medina was classified as Universal Heritage by UNESCO in 1981. 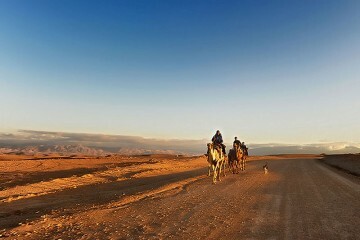 The medina: Traditionally your exploration of the medina should start at the Bab Boujlloud Gate. The first monument to visit is the vast Bou Inania medersa. 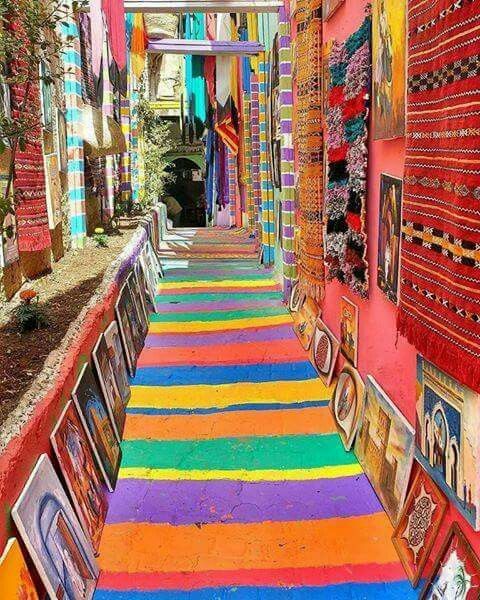 As you continue along Talaa Kebira Street (big climb), you will particularly admire the Tijani zaouïa (zaouïa, sanctuary of a religious brotherhood) and the instrument makers’ souk before arriving at the mzara (shrine) of the ancient sovereign Moulay Idriss situated at the place where he took the decision to build the town. Once you have passed the babouche vendors, you arrive in En-Nejjarine Square and the cabinetmakers’ souk. The magnificent carved foundouk (caravanserai) on the square houses the Museum of Wooden Arts and Crafts. The kissaria (covered market), where jewellery and fine fabrics are on sold, is nearby (it is shut at night). 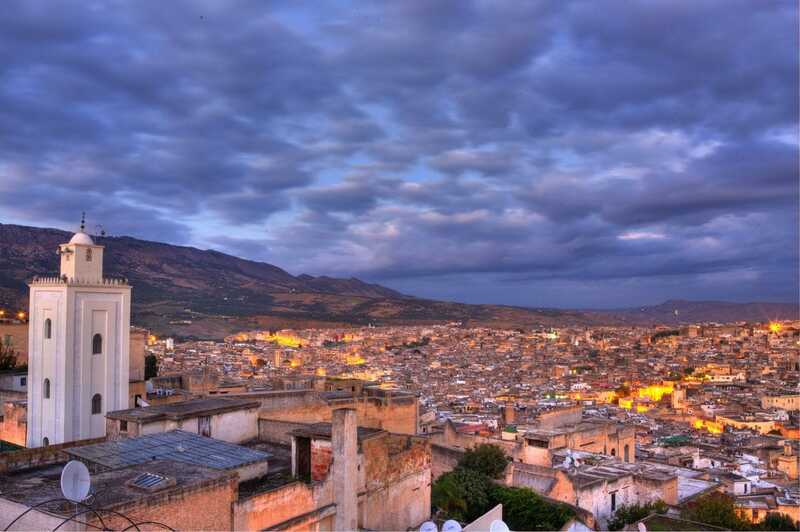 Next to it, you can admire the most visited and revered attraction in Fès: the zaouïa of Moulay Idriss, founder of the town. Your walk continues on to Es-Seffarine Square, the coppersmith square, and then to the tanners’ quarter situated just before the Andalusian quarter with its mosque and the Es-Sahrij medersa. Optional lunch & time to rest in a terrace café. 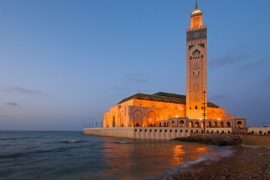 Medresas: A Medersa is a school where the Koran is taught along with all the classic subject of learning: mathematics, grammar, history, astronomy, medicine… In Morocco, and especially in Fès, medersas have the important role of integrating students from other regions. Generally they are built around a central courtyard with a fountain. 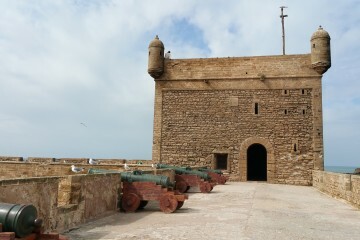 El-Attarine: The Merenids built this masterpiece between 1323 and 1325. Its central courtyard is magnificently decorated. Its walls are covered with sura engraved in wood or plaster. The fountain and marble columns are embellished with zellige (tiled mosaic). Bou Inania: This Medersa, built between 1350 and 1357, is the biggest in Fès . Pass through the magnificent entrance with its heavy copper work doors, and then be impressed by the abundance of earthenware, the refinement of the sculptured wood and plaster and the chiselled stalactites called mukarnas, the hallmark of Merenid architecture. A canopy of typical Fès green tiles surmounts the onyx and marble courtyard. All rates are listed in USD per person per trip and are valid upon availability, except during Christmas and New Year breaks.